Equipment, working platforms and docking systems for civil and military aircraft and helicopters, weapon systems and space technolog. Fitting to complex contours of engines, rotors and tail units. Safe, optimum and swift access. High flexibility and variabilty. Reduction of downtimes. 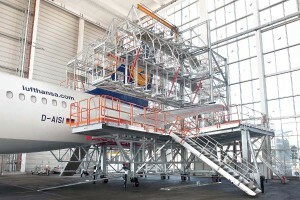 Most often a docking system is made of dozens of individually moved modules or docks to be placed around an aircraft to perform its maintenance. But the user needs that all these modules or docks be perceived as one single overall station with coordinated shapes around the aircraft and movements designed to reduce the time lost for getting out and entering into the docking station. Final acceptance tests, training and documentation. Docking systems by ZARGES – nose to tail for civil and military aircraft. The system includes several small modules suitable for multi- or single aircraft types, narrow- or widebodyaircraft. Design and configuration depending on the customer requirements and with optimum fit to the specific contours such as engines and tail shape. Docking systems by ZARGES – nose to tail for civil and military aircraft. 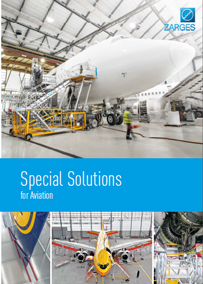 Single- or double-section solutions for access to the windshield, radome, PAX doors, nose wheel well and electronic bays. 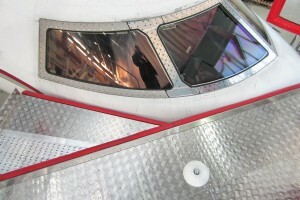 One-level or two-level solutions for access to windows, emergency exits and cargo bays. Sliding panels for ideal contour adjustment. Outboard docks for access to the leading and trailing edge, engine, extrados and intrados and wing tips. Inboard docks for access to wheel well, engine, flaps and leading edge. One-level or two-level solutions. Sliding panels by hand crank or manual operation for ideal contour adjustment. Brace-free design with sliding panels to open or close the platform. 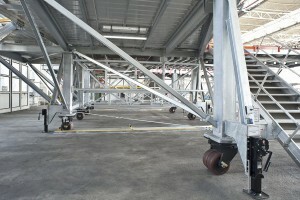 Gap in the middle allows lowering of parts/APU and direct loading by fork lift from the floor. Brace-free design with access to vertical stabilisers and ergonomic inclination of the working area. For tail-in configuration, docking and de-docking without moving the dock. Cantilever design with access to horizontal and vertical stabilisers, rudder, APU and rear passenger door. For tail-in configuration, docking and de-docking without moving the two modules. Llámenos para un asesoramiento personalizado.